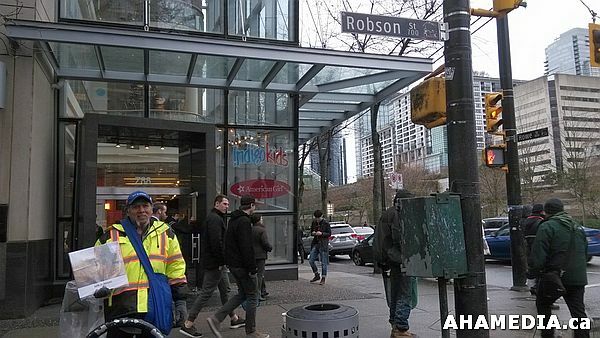 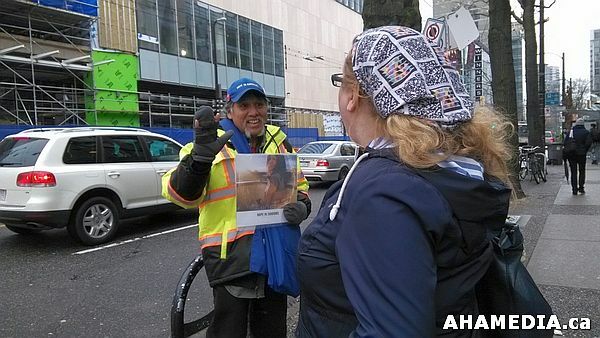 Peter Thompson sells Hope in Shadows Calendar 2015 in front of Chapters bookstore at Robson and Howe. 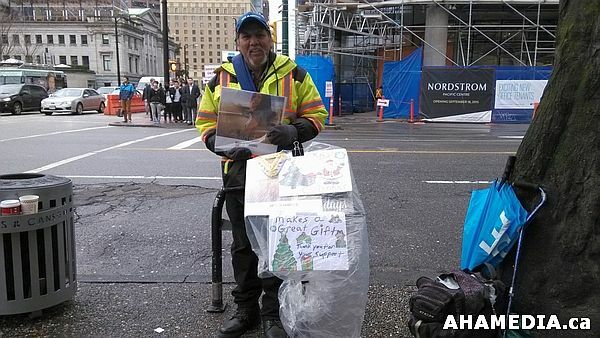 Each calendar is packed with amazing photos and stories from the DTES and make wonderful Christmas and New Year gifts! 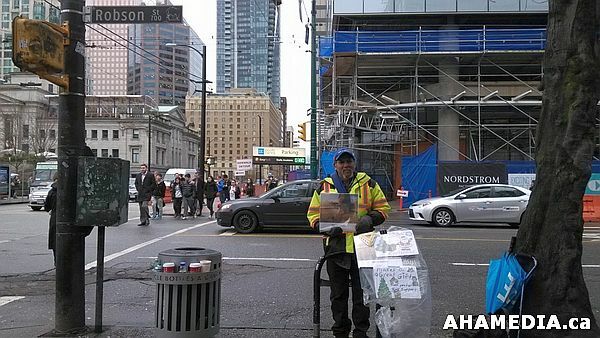 Please support Peter, an multi award winning photographer while he vends everyday from 11 am to 6pm throughout the holidays!